Hope you are all well and have joined in our new Sketch Challenge, you can scrowl down for the details. 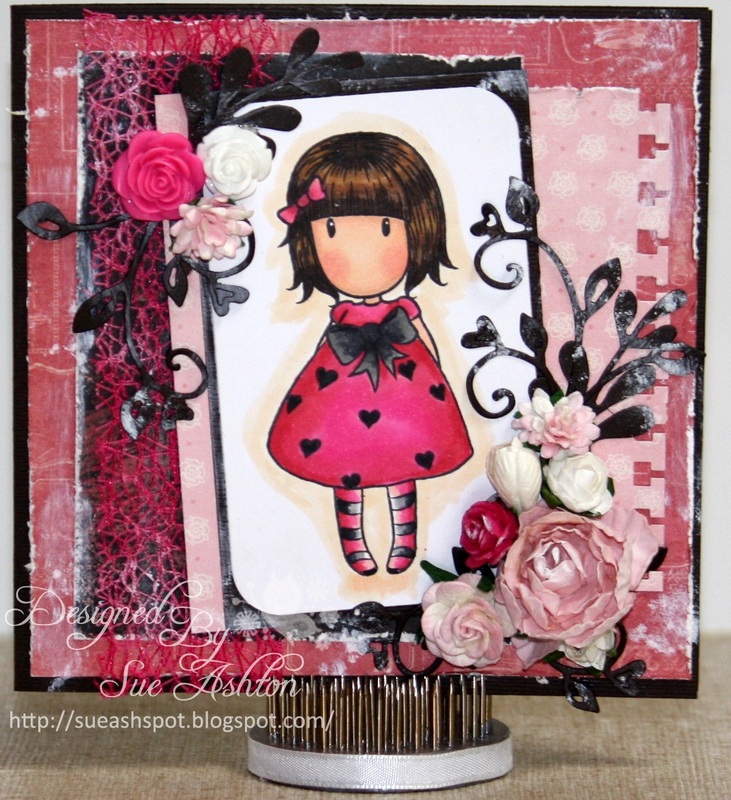 I have again used this Gorjuss Girl stamped image today, coloured with Copic's on X-Press It blending paper, the DP is from My Minds Eye - Lost & Found -'Madison Avenue Collection', Kaiser Flowers & Lace, Doohickey Lace Swirl these are all available from Bizzy Bec's, along with heaps of other fantastic products! Wow Sue , this is stunning love the image and the beautiful colours and details , tfs. what a cute pink dress))) Great colouring!